L’Immacolata is the feast of the conception of the Virgin Mary on December 8th. It is a national holiday in Italia and also the official beginning of the Feste Natalizie. Italiani usually put up l’albero di Natale (the Christmas tree) and il Presepio (the Nativity scene) on this day. San Francesco d’Assisi created the first Presepio in 1223 in a cave in Greccio. He had been to the birthplace of Gesù (Jesus) in Bethlehem and was inspired to recreate the scene. This was his attempt to return the emphasis of Christmas on the birth of Christ rather than gift-giving. I find it interesting that the ‘commercialization’ of Christmas is not a new concept at all. Searching for ‘the true meaning of Christmas’ did not start with Charlie Brown but in the 13th Century! San Francesco’s was a ‘Presepio Vivente’, with real people and animals. The live figures were eventually replaced by statues, and Presepi also started to be set up in homes. 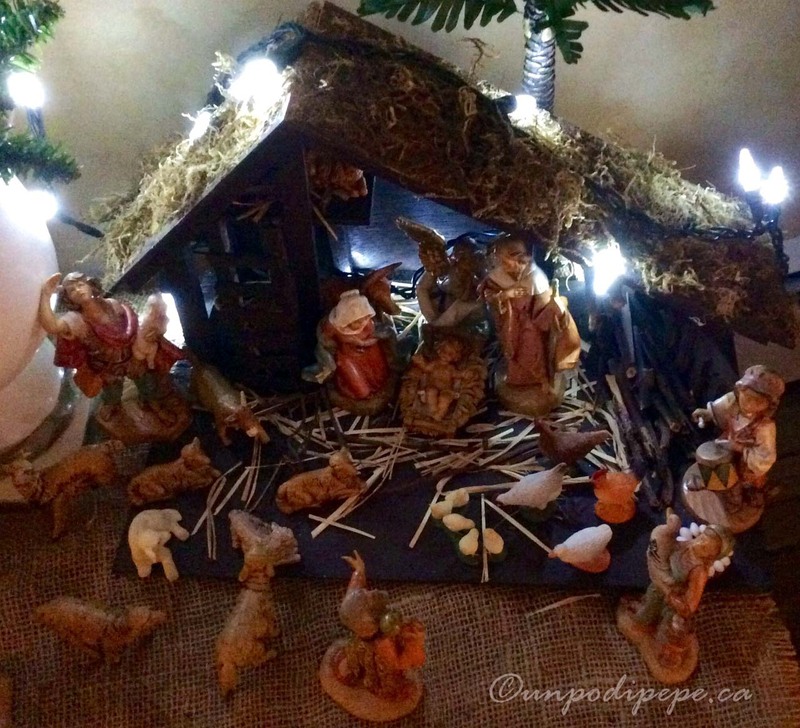 The Presepio includes the Holy Family-although Bambino Gesù is not placed in the manger until after midnight Christmas Eve-angels, shepherds, animals, and the Re Magi (3 Wise Men). The 3 Wise Men are at a distance, since they arrive on January 6th. I also have my Befana figurine trailing behind them! Several hundred years ago, Presepi also started to include scenes from village life. Of course before Google Earth, Wikipedia, or even photography, no one actually knew what 1st Century Bethlehem looked like, so the village scenes resembled the local areas. The tradition of the Presepio is popular throughout Italia, with most families having one. 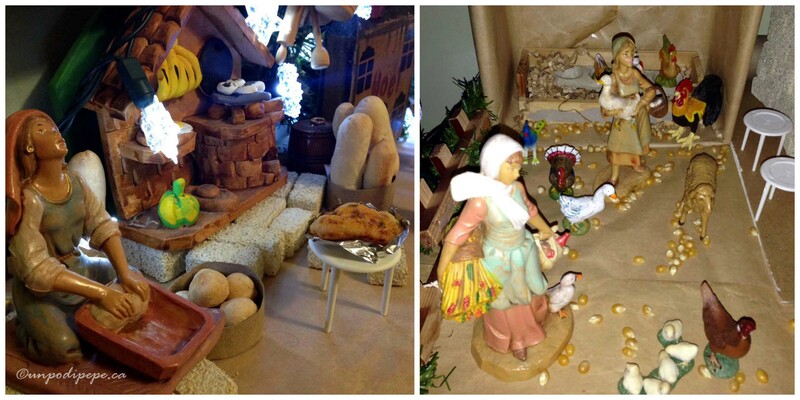 My Mamma gets very detailed and creative with her Presepio, even baking tiny bread, pizze and Panini. 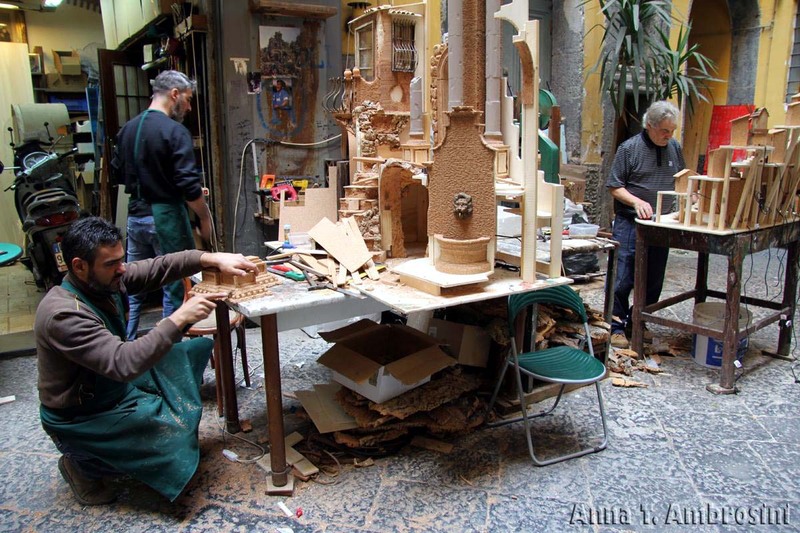 Via San Gregorio Armeno in Napoli is lined with artigiani (artisans) making presepio figurines and accessories all year round. The attention to detail is incredible! I must go and get myself a zampognaro (zam·poh·NYAH·roh) for my presepio. This is a traditional Abruzzese bagpiping shepherd! 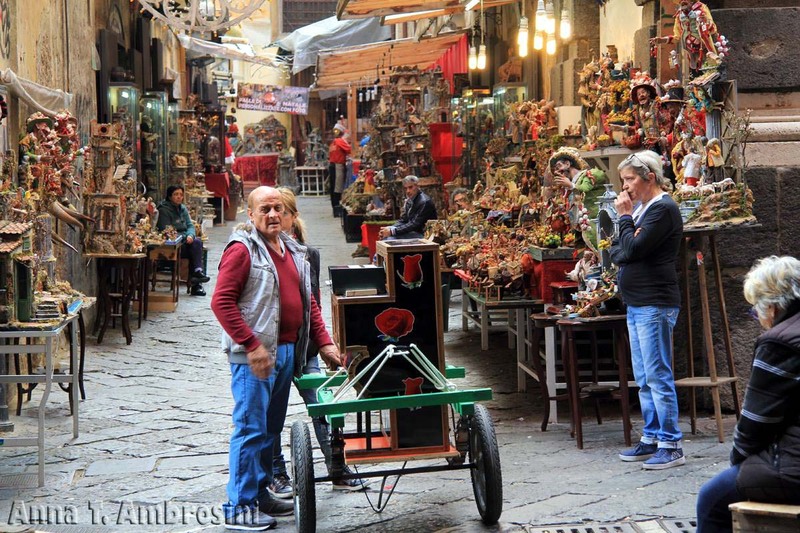 The 2 photos below of San Gregorio Armeno artigiani were taken by my amica Anna. Many villages, including Orsara di Puglia, have a Presepe Vivente in December. Like the original one, this features the live Nativity and also artisans in traditional costume working on trades and making traditional local dishes. I’d love to hear what you have in your Presepio! 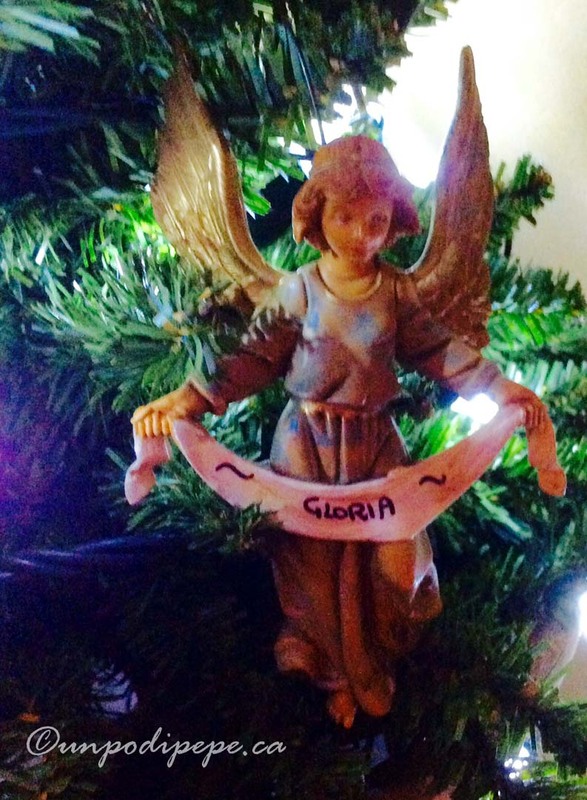 Thanks Cristina, we had a perfect Christmas day.